Being a leader in the industry, we are engaged in offering a qualitative range of Acrylic Plants Aquarium to our customers. 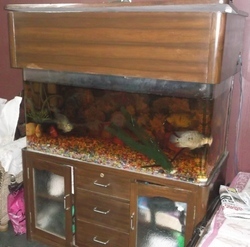 Backed by consistent efforts of our dexterous workforce, we are engaged in offering abroad range of Acrylic Aquarium. 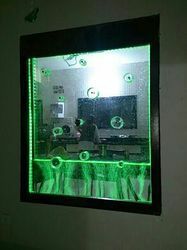 We offer an exclusive range of Acrylic Aquariums in various shapes and designs based on our clients requirements. Acrylic Aquariums are available in different shapes like round, oval and polygonal with smooth edges and surfaces. These Aquariums are made by our vendors using fine quality glass and are sealed very carefully for longer durability. Acrylic Glass Aquarium offer an amazing way to appreciate the beauty and diversity of natural aquatic life. A variety of glass aquariums are available with us, which are as curvy and stylish as acrylic aquariums. We have the ability to create customized shapes and designs to accommodate a particular interior as per customers' specifications.